When will be Bitchin' Rides: High Octane next episode air date? Is Bitchin' Rides: High Octane renewed or cancelled? Where to countdown Bitchin' Rides: High Octane air dates? 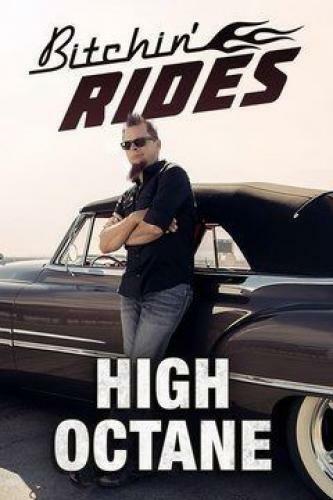 Is Bitchin' Rides: High Octane worth watching? Bitchin' Rides: High Octane is the 2nd series that airs extended enhanced episodes with extra information, deleted scenes and bonus unseen footage from the show "Bitchin' Rides" that airs on Discovery Channel's sister network, Velocity. Dave comes up with a plan to transform a rusty '68 Chevelle plucked from the bowels of the shop; a 1955 Chevrolet Bel Air arrives for a chassis swap. The shop builds a gasser race car, but Dave and the client disagree on a color for the vehicle; Dave readies a 2012 pickup truck for his teenage son, who had bad luck with his first car. Bitchin' Rides: High Octane next episode air date provides TVMaze for you. EpisoDate.com is your TV show guide to Countdown Bitchin' Rides: High Octane Episode Air Dates and to stay in touch with Bitchin' Rides: High Octane next episode Air Date and your others favorite TV Shows. Add the shows you like to a "Watchlist" and let the site take it from there.